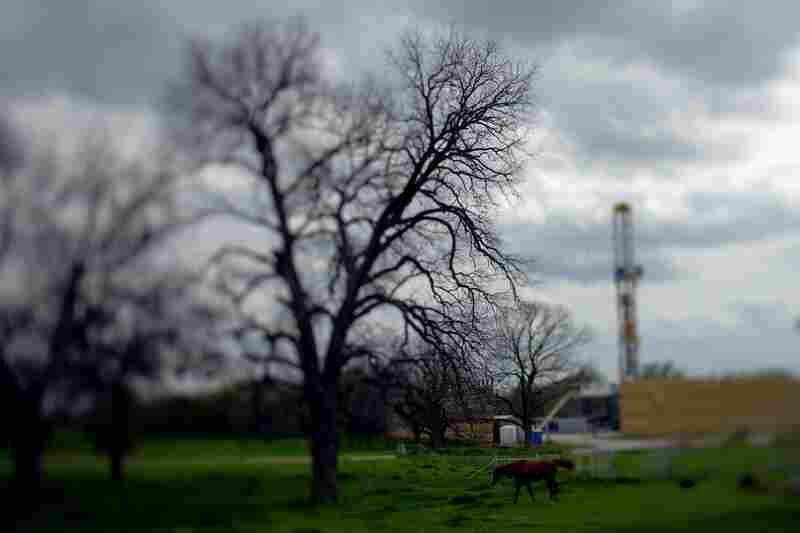 Town's Effort To Link Fracking And Illness Falls Short Many residents of Dish, Texas, blame the fracking operations that surround their tiny town for a host of health problems — from nosebleeds to cancer. The former mayor was so scared, he left town. But scientists who've studied Dish say there's not enough evidence to link natural gas operations to any illness. Dish, Texas, was once known for changing its name in exchange for free satellite TV from the Dish network. Now, it's known as the epicenter of the fracking boom. 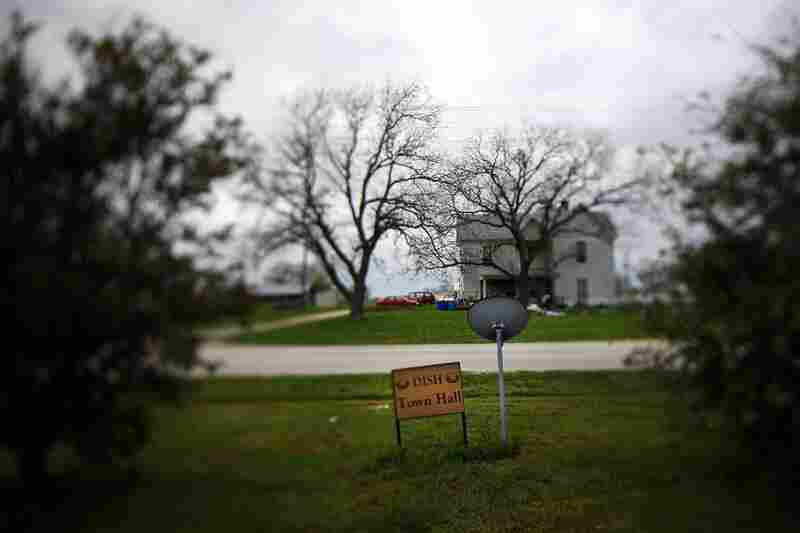 About 225 people live in Dish, which sits right on top of the Barnett Shale rock formation. That shale contains one of the nation's largest natural gas reserves. While energy companies say their fracking and gas well operations are safe, Mayor Bill Sciscoe, seen here, firmly believes the health of his town is in danger. 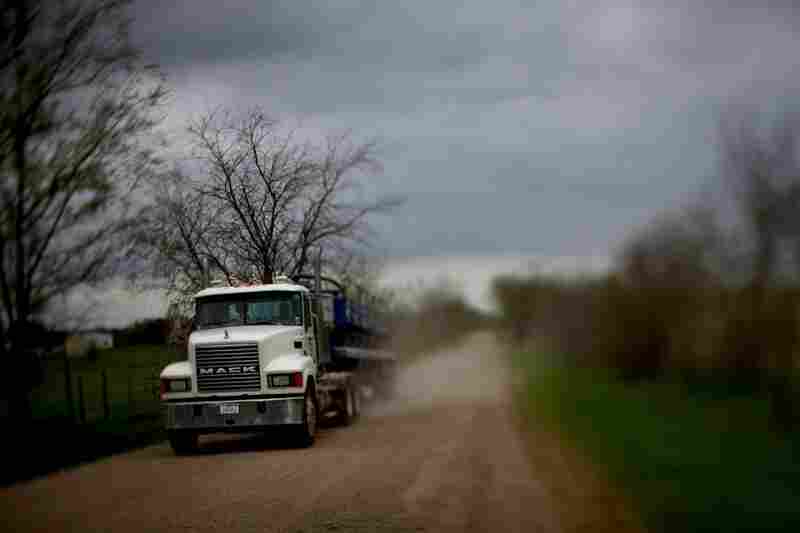 Signs of fracking, such as well heads, storage tanks and big rigs, are an ongoing presence in Dish. Before the wells, says Mayor Sciscoe, "This place was absolutely beautiful. It was serene. It was very quiet. I raised five children here." 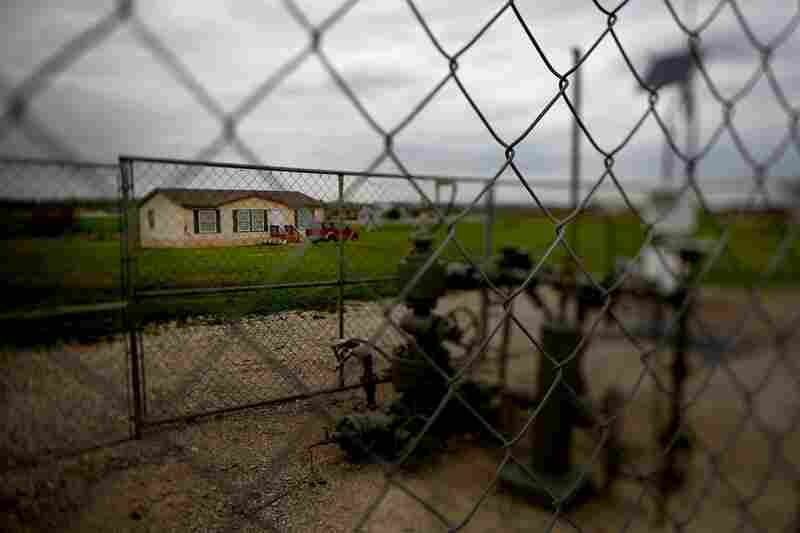 A working gas well head is fenced in just opposite a home. Dish is about 30 miles north of Fort Worth. 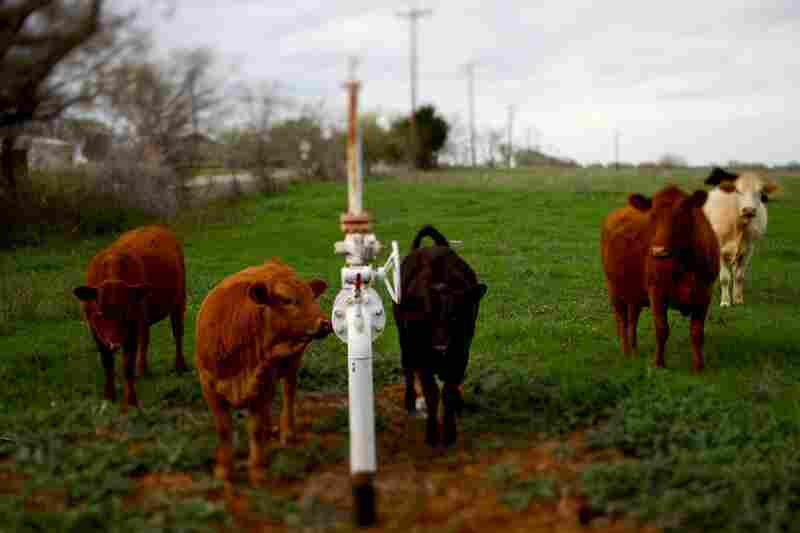 Gas infrastructure is mixed in with pasture land. 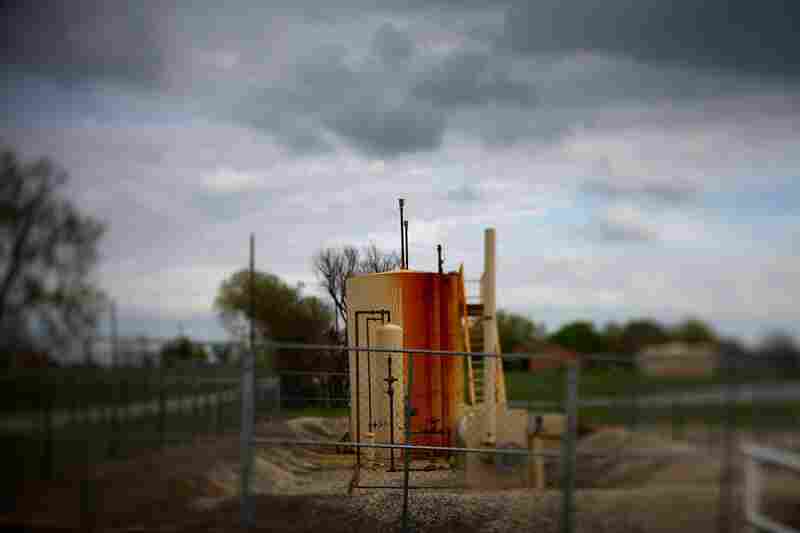 Scientists say they don't yet know whether fracking is endangering the health of nearby residents. 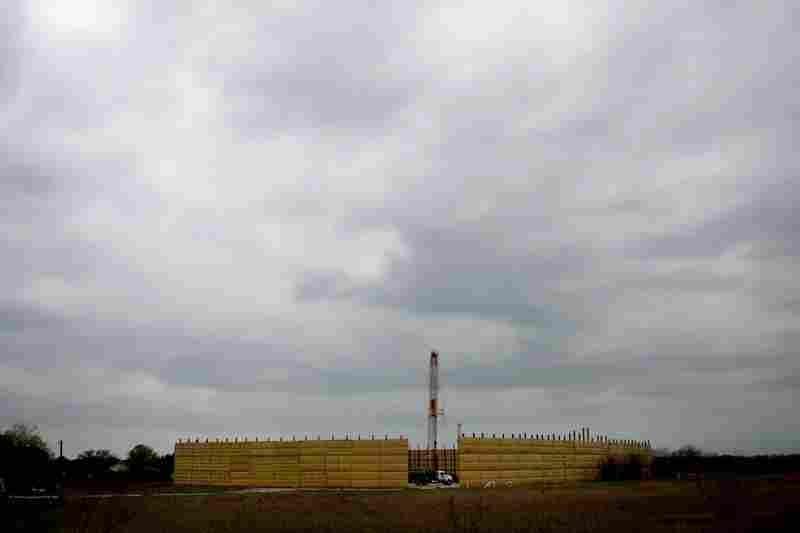 Energy companies surround some well sites with wooden fencing to cut down on the industrial feel of their operations. Along with drilling comes heavy traffic from big rigs that transport both clean and contaminated water from fracking sites. A drilling rig (right) marks the spot of an upcoming frack. A noise-dampening curtain surrounds a drilling rig near Dish. Dish's Mayor Sciscoe says he has a message for people in places where fracking is just getting started: "Grab up your family and your belongings, and get out." 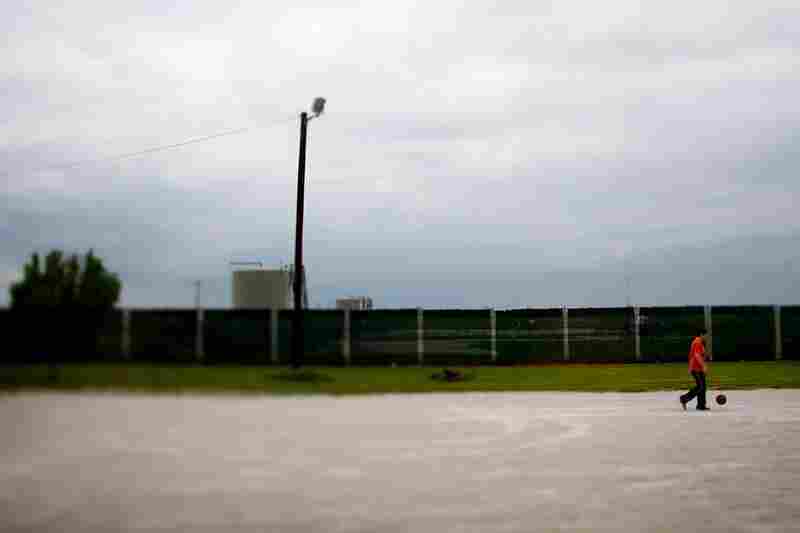 Quite a few of the 225 people who live in Dish, Texas, think the nation's natural gas boom is making them sick. They blame the chemicals used in gas production for health problems ranging from nosebleeds to cancer. And the mayor of Dish, Bill Sciscoe, has a message for people who live in places where gas drilling is about to start: "Run. Run as fast as you can. Grab up your family and your belongings, and get out." But scientists say it's just not clear whether pollutants from gas wells are hurting people in Dish or anywhere else. What is clear, they say, is that the evidence the town has presented so far doesn't have much scientific heft. To understand why people in Dish feel the way they do, it helps to look at a satellite image of the tiny town about 35 miles north of Fort Worth. From above, you see an odd patchwork: ranch-style homes and green pastures interspersed with industrial lots filled with gas wells, compressors, storage tanks and metering stations. A visit to Dish fills in the details. In most parts of town, it's hard to miss the sulfurous odor of escaping gas or the rumble of compressor engines big enough to power a locomotive. Mayor Sciscoe has agreed to give me a tour of Dish and explain why he thinks natural gas production is bad for residents' health. He's an imposing guy who meets me dressed in black cowboy boots, a black sport jacket and aviator sunglasses. Sciscoe has been in charge of Dish since last year, when the previous mayor and his family actually did leave town to get away from the drilling. Gas wells weren't always a part of the landscape, Sciscoe says. There weren't any when he arrived in 1987. "This place was absolutely beautiful," he says. "It was serene. It was very quiet, very clean. I raised five children here," including two who became Marines. But in 2005, two things happened to the town, which was named Clark at the time. First, Clark became Dish as part of a deal to get free satellite TV service from the Dish network. 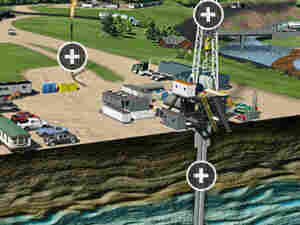 Second, energy companies arrived and began drilling lots of gas wells. The wells were made possible by a technique known as hydraulic fracturing, or fracking, which released natural gas trapped in the hard shale a mile underground. To explain how profound that change has been, Sciscoe brings me to the biggest thing in Dish. 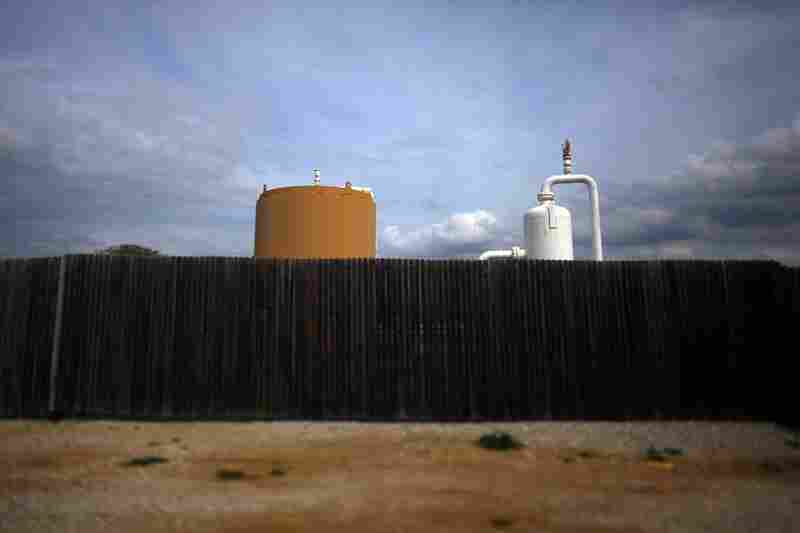 It's a swath of gas wells and heavy equipment that stretches for a quarter-mile at the town's southern border. Sciscoe says emissions from this site are a big problem. "It's just a who's who toxic chemical mix," he says. "Pretty much all of those items that you get from petroleum products are spewing into the air in this area." The town spent $15,000 on an air quality study several years ago. It found elevated levels of several chemicals including benzene. But since then, energy companies have made some changes, and an air monitoring station installed by the state has shown that pollution levels are generally within government limits. Dish also got state health officials to come and check residents' blood and urine for toxins. The officials say they found no cause for concern, though Sciscoe disagrees. It's pretty clear people in Dish have been hurt, he says. "There's not a lot of residents right around this facility. But within a quarter of a mile, half a mile of this facility, there's been six people die of cancer here," he says. "And so do I think this is a concern? Yes I do." So why don't scientists see it that way? Health Effects: What Would It Take To Know For Sure? To find out, I make a visit to Brian Schwartz, an environmental epidemiologist at Johns Hopkins University in Baltimore. I ask him what it would take to figure out whether there really is a link between gas operations around Dish and those people with cancer. "You can't," he says. "You can't study that right now because it takes about 20 years, let's say, for solid tumors to develop after exposure to a chemical. So if the drilling has happened in the last five years, I cannot answer the cancer question right now." Even if more time had passed, Schwartz says, he would still need to link each type of cancer with a chemical known to cause that cancer. 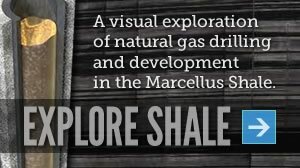 Explore Shale: Go deep inside the natural gas drilling process – and how it's regulated – in this interactive from Penn State Public Broadcasting. Leukemia, for example, might be caused by exposure to benzene. But breast cancer isn't. Another problem is that most so-called cancer clusters are random events, Schwartz says. They're not caused by anything in the environment. "If I take a shotgun and I blast it against that wall, there will be a random pattern of holes in the wall, right?" he says. "And I could draw a circle around three or four or five that look to be a bit more densely packed than all the other ones." But it would still be a cluster caused purely by chance. Of course, cancer is just one of the concerns in Dish. Residents are also worried about immune diseases, reproductive problems and a wide range of symptoms. The town's previous mayor, Calvin Tillman, became alarmed when his two boys started getting nosebleeds. They seemed to occur when the odors of gas were strongest and air quality monitoring showed higher levels of chemicals, Tillman says. Then one night his younger son had a really bad nosebleed. "Our house literally looked like a murder scene," Tillman says. "There was blood down the wall and in the hallway. And I got up the next morning to go to work, and my wife said, 'That is it.' And at that moment we decided we've got to move out of here." 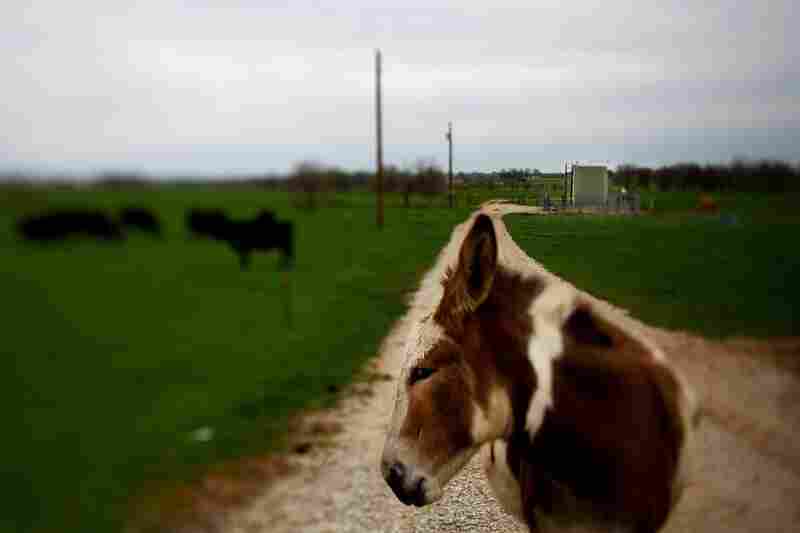 Tillman and his family moved off the shale, to a town called Aubrey, Texas. Tillman knows that's just one family's story. But he says he documented others several years earlier when he had Dish residents take a health survey asking whether they had experienced symptoms such as itchy eyes, a bloody nose or a scratchy throat. "It came back that about half of the people that were polled had a symptom that could be related to one of the chemicals that we found in our air study," Tillman says. But the mere presence of a chemical isn't enough to show it caused a symptom, scientists say. You have to show that a person was exposed to a high enough concentration for a long enough period to cause itchy eyes or a scratchy throat. And the Dish survey didn't do that, says Tom La Point, a toxicologist at the University of North Texas in Denton, about 15 miles east of Dish, and a member of a task force looking at the impact of gas drilling. La Point says test results can be confusing because modern equipment is able to detect chemicals at levels far, far below those known to produce symptoms. "I've had people get quite upset saying we can measure benzene," he says. "Well, yes we can measure benzene. But the concentrations are below the effect level. And that really means something. It really does." Even if tests in Dish had shown enough of certain pollutants to cause health effects, there would still be another scientific hurdle, La Point says. Researchers would need to know whether the pollutant was coming from local gas operations or some other source — like vehicle tailpipes. And that's hard to figure out in a place like Dish, which is in Denton County and gets a lot of air pollution from the Dallas-Fort Worth metroplex, La Point says. "Ironically," La Point says, "even though we're not by any means the largest county in the metroplex, we have the worst air quality because the general winds bring it up from Dallas and Fort Worth," where the pollution from cars mixes with the pollution from gas operations. 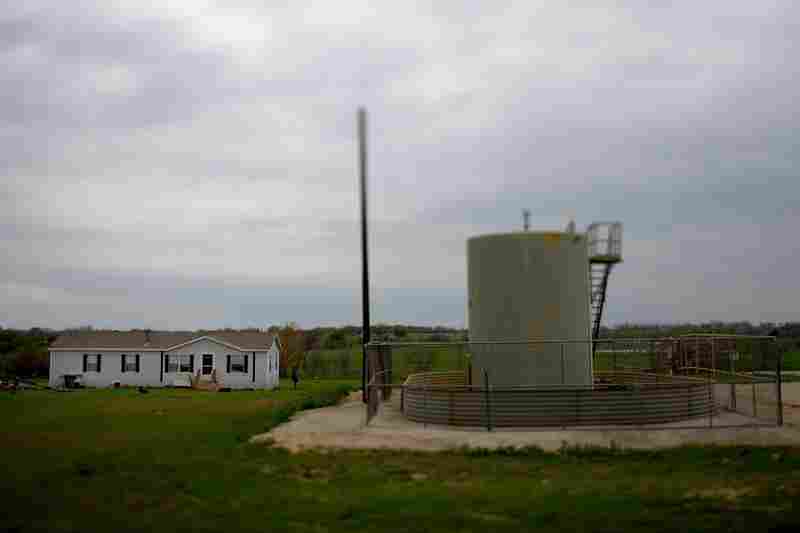 Scientists are quick to caution that the problems with evidence from Dish do not show that gas drilling is safe for people who live near it. What the caveats show is that there is a pressing need for rigorous scientific studies, Schwartz says. "When these areas are developed, thousands to tens of thousands of wells are drilled and fracked. So the magnitude is huge," he says. "And frankly, the development is way out ahead of public health evaluations of any kind to date." That's not fair to the people in Dish or any other place in the country where drilling and fracking have got people worried, he says.